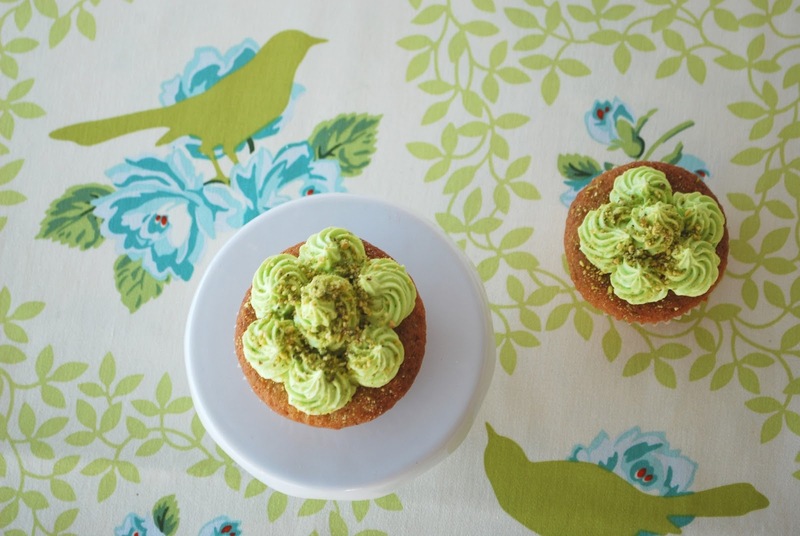 Lime and pistachio cupcakes have been on my to do list for a while now. escaped the intensely ridiculous HEAT (it IS meant to be autumn!!) and ran away to my kitchen. 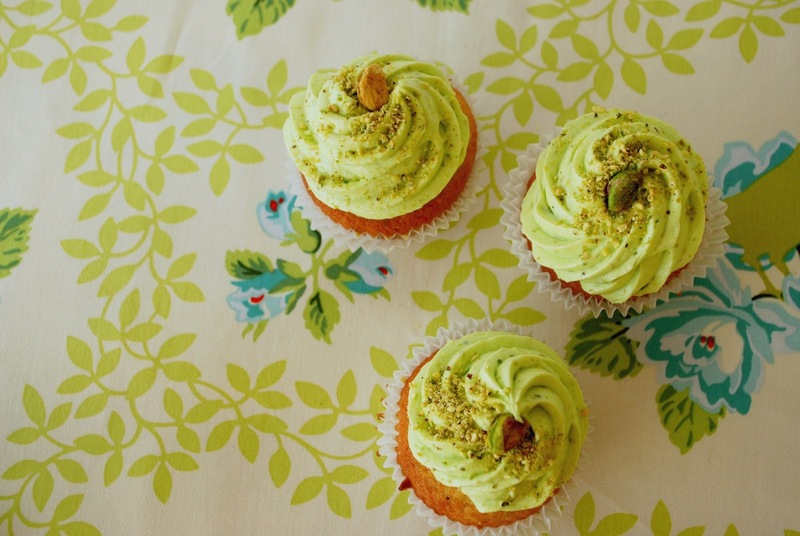 I adapted the “Perfect Vanilla Cupcakes” recipe from Glorious Treats, by adding crushed pistachio nuts and lime zest to the mixture. I also incorporated lime zest and juice with crushed nuts into the cream cheese icing. family members were discreetly trying to swipe these little beauties off the kitchen counter before I could photograph them! but at least I got more than the usual “Yeah, they’re good” comment in passing! I am still fiddling with the recipe, and hope to make more tomorrow, but I will give you my version of these incredibly tasty morsels! * In a medium bowl sift flour, baking powder, soda and salt. Grate lime zest into mix. Whisk and set aside. *Place pistachio nuts in food processor until finely chopped. Put nuts into dry flour mixture. *In an electric mixer place eggs and beat on medium for 20 seconds. Add sugar and beat for 30 seconds. Add vanilla and oil. Beat until well combined. *Reduce to low. Slowly add half of the flour mixture, half of the buttermilk, then flour again. Beat until just combined. The mixture will be thin. *Pour batter into prepared muffin pans, filling each liner 2/3 full. *Bake for 12-14 minutes until firm to touch in the middle. 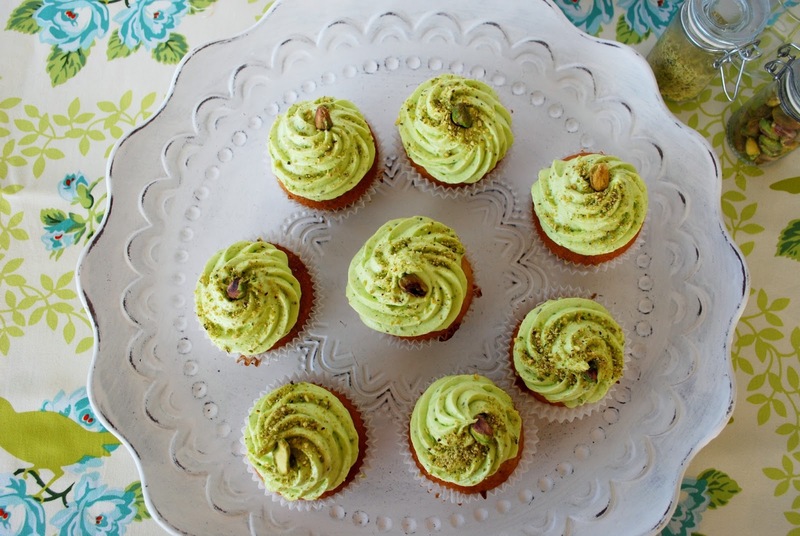 The cupcakes may sink a little bit in the middle because of the pistachio nuts. This is normal. *Place on wire wrack to cool before frosting. * Place butter in electric mixer and beat on medium until light. Add cream cheese and lime zest, mixing until well combined. Add vanilla essence. * Turn mixer onto low and sift icing sugar into the mix. Do this a little at a time. 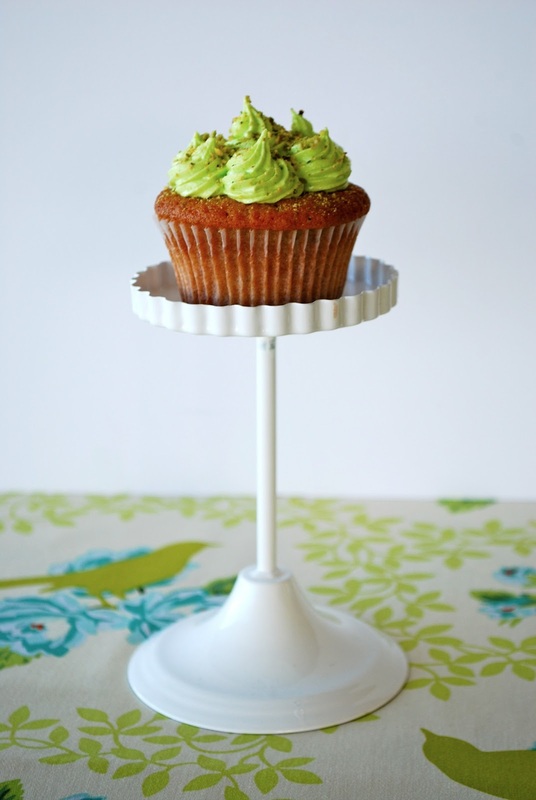 *Slowly pour lime juice into the icing mix until frosting is a stiff, creamy consistency. * Add green food colouring if desired. I used Americolor Electric Green. 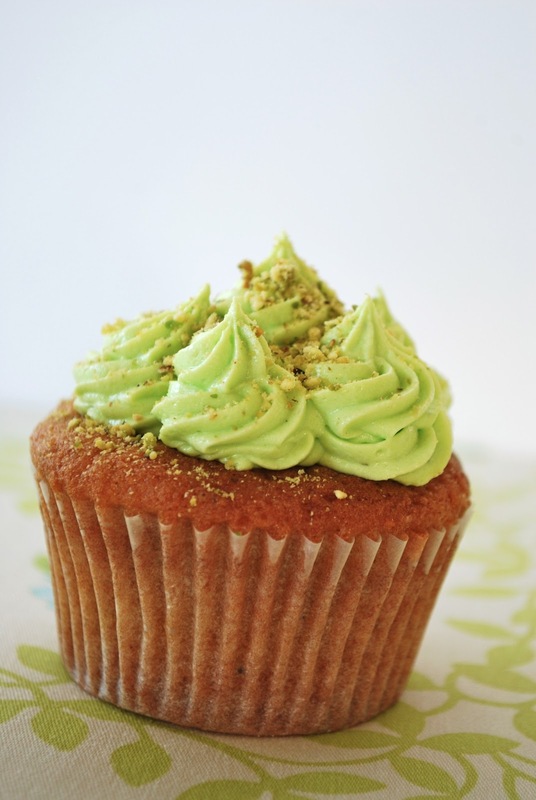 * Pipe frosting onto cupcakes and sprinkle with more crushed nuts if desired. Oh Yummy!!!! They look amazing. I can just imagine how nice the lime cream cheese frosting will taste! I am bursting to make these! Thanks for the recipe!!!! You are so very clever! I am craving a Mrs. Hoggie cupcake! !